When two people meet with sparkles in their eyes, they wish this feeling would last forever. Despite joy and happiness you both experienced on your wedding day surrounded by friends and family, the sensation of love is not easy to keep and make it last for a life time. In general, a very simple principle applies in love as well. Wherever our focus (time and energy) goes, that grows. For the most of people it is quite the contrary. Sad but true. Fast track lifestyle, stress and daily routine all weaken bit by bit the once perfect match and unitive bond between husband and wife/two partners. The fact is that planning is crucial for a perfect wedding day. It would be wise to plan our life in the same manner too. Do not leave your life as a couple to a coincidence and unfortunate set of events! Today, it’s your partnership’s turn. Spoil your partner and yourself, indulge in a unique present, designed especially for you to. A unique work of art supports your common vision of your partnership and is as such a perfect gift designed especially for you two. When have you done something to bring your partnership to the next level? And what was that? We are used to fuel our car tanks, have regular car checks done and have them cleaned. Otherwise cars would not be of any service to us, right? Great, rules are clear and can be found in the manufacturer’s 60 page car manual. Curious? Here is an insight into our Manual for Perfect Partnership. Wedding is a magnificent moment of your life, your partnership, as family and friends gather to rejoice your love and happiness. Wedding anniversaries are one-off opportunities to celebrate the victory of respect and devotion over turbulences of marriage. Most cultures see wedding anniversaries as opportunities for celebration which reboot your partnership. It is also an occasion that reminds couples of their wedding vows. It takes much effort from partners to find a gift which inspires the other or even both of them. Are you looking for a unique present for your partner to bring you even closer together? Why don’t you treat your partner and make him/her happy with a personalized work of art? A photo, a memory of a wonderful moment together, can be transformed into a painting. A work of art which will encourage you every single day to maintain your common vision to keep experiencing happy, devoted and loving moments together. All you need is a quality image/photo of 1MB, in a resolution of 1000 x 1000 pixels or more in a jpg, png or pdf format. Why do we need to care for our partnership? As time goes by, you forget way to easy why you are together with your partner, why were you drawn to him/her. So, it all starts with taking your partnership for granted. Your partner will not always look or act as if you have just met him/her; that is certain. As you get distracted by new interesting stuff, which robs your attention, it is vital for the survival of your partnership to omit some limiting behavioral patterns such as “taking your partner/partnership for granted”. How can a Sun of Art partnership work of art help? A unique Sun of Art work of art is designed especially for you two, for your mutual journey. Designed by your standards to support you. When choosing your mutual Sun of Art work of art, you decide to be an ITEM again/You&Me. A decision to be and ITEM is a basis for any fruitful partnership. Sun of Art work of art is made by fusion of a print to canvas and acryl colors, possible application of Swarovski crystals, laces or gold-plating. A unique work of art with your laughter embedded reminding you of your happy moments together. 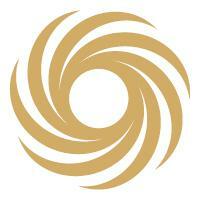 Sun of Art work of art helps you grow and maintain a vision of your partnership now and in the future. The vision you share with your partner is essential for the future of both of you as an item/couple. Sun of Art work of art – one reason more for daily practice. Daily brief relaxation or meditation you take on together in the vicinity of the painting can support you to go through your day with ease. Sun of Art work of art encourages you to stop seeking the imperfections of the moment and start believing in you two and constantly growing relationship. Why do I design SunofArt partnership masterpieces? Our life is on a fast track. We are busy accomplishing our job assignments; we are good citizens, caring family members. In all that hustle, we often neglect our needs and partnerships. In my therapies I see exhausted partners who have lost sight of each other. So I decided to support partnership growth by making my creative energy available since I firmly believe that good partnership is a must for every family. Sun of Art work of art is a tiny stone in a mosaic of your fruitful partnership. It reminds you that a good partnership is one of the key pillars of the family. Good partnership helps you create a safe environment for your children. A sense of joy is an oasis for your health and well being. Happy home is the reason why we strive to navigate our boats even in high seas and storms. Let the Sun of Art work of art help you bring your partnership to a whole new level! Everything starts with a decision, followed by submission of a high-quality image/photo and an order placement. Please allow 9 weeks for delivery from the day you placed an order. EXPRESS delivery in 2 weeks possible. 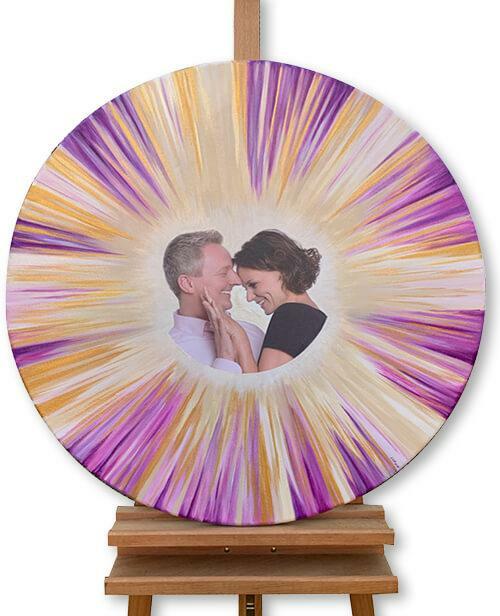 Individualized, unique Sun of Art partnership work of art with your photo embedded (2r = 81 cm round or 80 x 80 cm square). Two ceramic products (a plate, a bowl for breakfast or a cup) decorated with Sun of Art motives to enjoy your moments together. Payment of the Package You&Me in 2 installments. 50% upon order placement. 50% on delivery. Payment costs are covered by the client. Standard package delivery takes 9 weeks. Express delivery in 2 weeks is charged in the amount of EUR 3.500. The Sun of Art work of art is unique also because it encompasses a photo of you two. Upon your request painting without a photo possible; with a motive of two trees intertwining their branches.